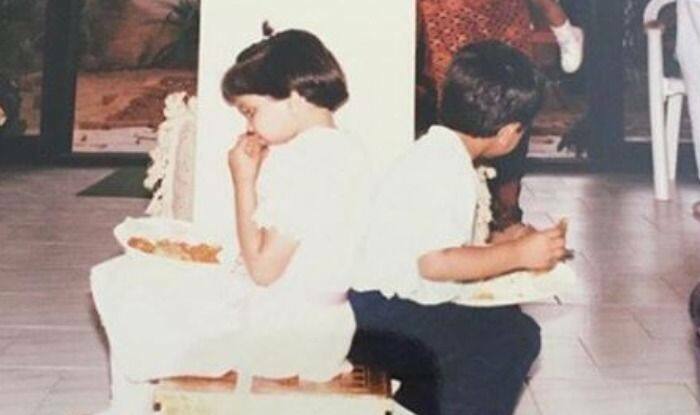 Deepika Padukone shares an adorable childhood picture of herself stuffing her face and her husband Ranveer Singh believes "Nothing's changed". Deepika Padukone is a big-time fitness enthusiast and her toned body says it all. This does not mean that the actor restricts herself from delicious food. Deepika loves her meals and we have proof. Deepika Padukone, who is very active on social media, took to her Instagram to share a major throwback picture where she is seen sitting with a plate of food and quietly stuffing her face. Deepika Padukone, who keeps treating her fans with stunning pictures of herself decided to go for a change by posting an adorable throwback picture. She captioned it, “Forever hungry…& nothing’s changed!.” Soon her husband Ranveer Singh commented on the picture and said, “I can vouch for that! Nothing’s changed!”. On the professional front, Deepika is gearing up for her upcoming film Chhapaak and is currently in Delhi shooting for the film. The film is based on the story of Laxmi Agarwal, acid attack survivor. She will be playing the role of Malti while Vikrant will be seen essaying the role of her husband. Yesterday, while shooting for a scene in Delhi, Deepika Padukone and her co-star Vikrant Massey’s video got leaked online. The video soon went viral. Deepika was initially seen on a bike with Vikrant after which she stood near the bike while went to a store nearby.